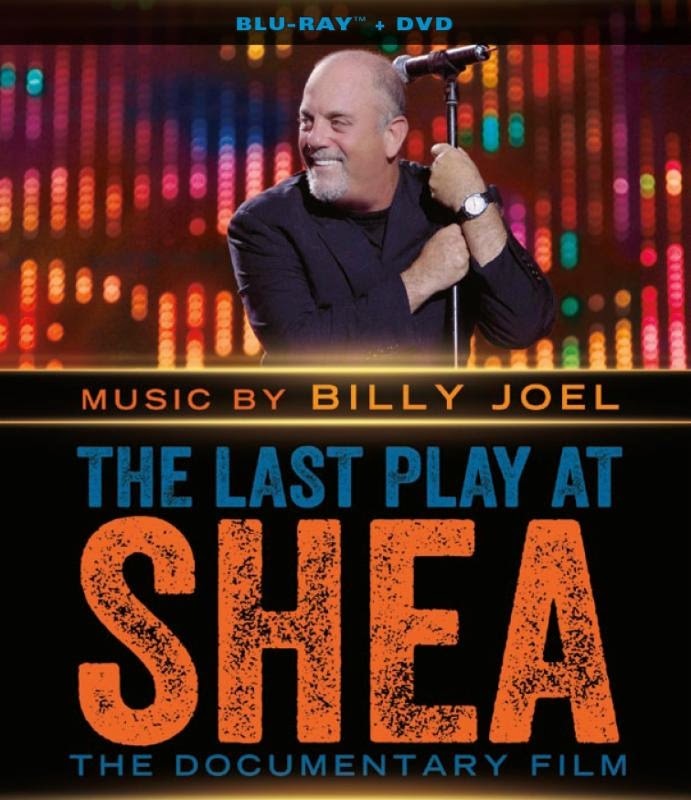 If you're a lover of music, sports and New York, then I have the perfect movie for you, "The Last Play At Shea." Released by Virgil Films on November 18th, it takes three New York icons and interweaves their stories into the final days of the legendary Shea Stadium. This documentary is like three in one as it follows the history of this historic landmark, as well as the amazing rise of the 1969 Mets baseball team and the career of the piano man, Billy Joel. The 95-minute documentary begins with the final event presented at Shea Stadium, an amazingly timeless concert by Billy Joel. He explains how much this stadium has meant to him and to the thousands of New Yorkers. His performances that evening are interwoven with historic clips of the construction of Shea Stadium, as well as the "worst to first" rise of the Mets' baseball teams of the sixties. The main focus, besides the concert, is the background information on the career of Billy Joel, beginning with his early bands, The Hassles and Attila. As with the Mets, the documentary follows the rise and fall and reemergence of Billy Joel's music throughout music history. The documentary is narrated by fellow New Yorker Alec Baldwin as his passion of the Shea Stadium landmark comes across through in his storytelling. Billy Joel turns this final 2008 concert at the stadium into an all-star music extravaganza. The documentary shows his performances with Tony Bennett during "New York State Of Mind," Roger Daltrey during "My Generation" and Sir Paul McCartney during a roaring performance of "I Saw Her Standing There." The irony of McCartney's performance is that The Beatles were the first band to perform at Shea Stadium back in 1965 and he closed the show on July 18, 2008 with a heartfelt performance of "Let It Be." Once you see this documentary, you will also want to seek out the complete concert which was released in 2011, "Live at Shea Stadium: The Concert." To find out more about this must have for music fans, especially fans of Billy Joel, please visit billyjoel.com.